Italian-American police detective MarcAnthony Di Nardo was honored at the Annual Mass for Law Enforcement officials held on November 12, 2009, at the Cathedral Basilica of the Sacred Heart in Newark, New Jersey. 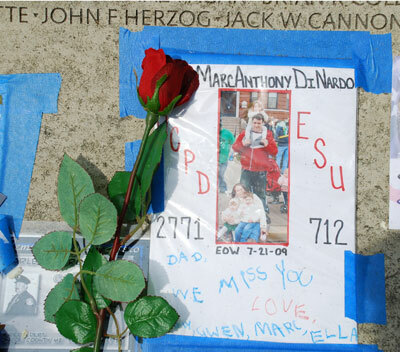 DiNardo was slain on July 21, 2009, as he tried to arrest two robbery suspects. He was 37 years old and married with three young children. The mass was celebrated by the Archbishop of Newark, H.E. John Joseph Myers. 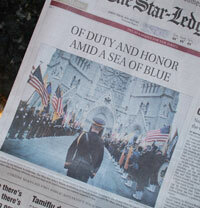 Among the attendees were N.J. Gov. Jon Corzine and Gov.-elect Chris Christie, who met for the first time since the election, and deputy police chief William Schievella, president of the Italian America Police Society of New Jersey.